The last article in this series discussed the anti-poor arguments used by the Indian left to oppose GMO adoption, but similar paranoia is also present on the Indian right wing. 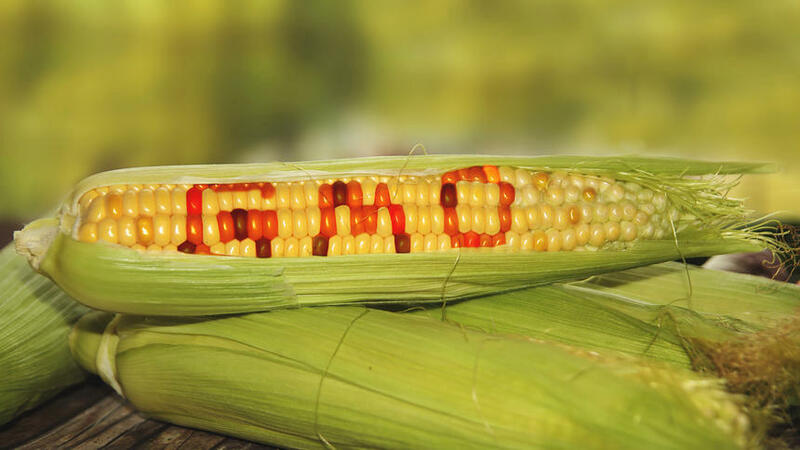 This article will show why the paranoia of the Right wingers against GMOs is unwarranted. Given that majority of the materials on the internet and that larger media is very biased against GMOs, it is not surprising that many on the right wing in India have also digested this propaganda. GMO crops seem to have done the seemingly impossible task of uniting the pro-Hindu, pro-development, pro-progress camp of Modi/BJP supporters with the pro-intellectual dishonesty, pro-poverty, anti-science, pro-misery communists of India. While props can be given for the non partisan nature of their opposition to GMO crops, it still doesn’t make their stance any less wrong. The most important problem against the GMO crops the Right wing in India has is that it is not a Swadesi product and they have been brainwashed into believing that GMO crops are bad for the country as it is being introduced by foreign corporations. This is not true and as explained in the previous article, GMO is not about Monsanto and a Swadeshi GMO company can equally rise up and serve the market. The only condition for this it that GMO companies are allowed to spring up in India. Eventually, Indians would absorb the technology and set up their own GMO tech conglomerates pretty quickly, just like they did with Micromax, Hero motor corp etc. Second but most important allegation the naturalists in the right wing camp have against the GMO crops is that it is unnatural and hence is unsafe and bad. But this is scientifically inaccurate and reeks of mysticism the right wing is usually associated with. Despite the massive efforts by the online RW intellectual community to wash away the negative connotation that right wing is anti-science, these vocal minorities within right wing are desperate to prove them wrong. Their opposition to GMO crops is eerily similar to the bible thumping idiots of the western countries who oppose Stem cell research because “how dare the unwashed masses play with God’s creation?” and how “only god engineered natural products are good and man made products are bad”. This stance of the vocal minority of the RW opposition to GMO crops is not even valid if one looks at the history of agriculture. None of the crops which are cultivated in the world are ” pure “, like the naturalists in the anti-GMO camo believe. Just like how humans domesticated dogs, pigs and cattle from wild wolves and boars, the present day agricultural crops are domesticated versions of wild cereals. Dogs and wolves belong to the same species-Canis Lupus but no one would think that they are the same species by looking at them nor would anyone think that dogs were genetically selected(engineered) variety of wolves. This is because many humans today are used to the idea of dogs being around them and have no idea that the dogs we see today are carefully selected pro-human wolf breeds when humans first started their primitive societies. While wolves were natural enemies of man and hence actively avoided man and fought him, certain wolves were much less anti-human and followed him around as the remains of man’s hunt was an easy source of food for them. Such breeds of wolves were taken up by men and carefully bred for their pro-human characteristic in such a way that after thousands of generations, such wolves became dogs and natural allies of man. This was a two way relationship as humans were good at killing prey while dogs were good at spotting prey and thus the relationship gave survival advantage to both and hence both prospered. The point being, even Man’s best friend is a product of genetic selection over a vast period time and if we go by the naturalist argument that humans should not use genetic selection or engineering, we should get rid of dogs, cereal, pulses etc because most of the cereals we use are products of careful selection and hence unnatural. And technically speaking, natural does not equate to good nor does artificial equate to bad. This is a fundamentalist stance on issues with no basis on reality. For instance, humans neither have the furs to survive in the Arctic nor the uric acid adaptation that reptiles have to survive the deserts but humans have colonised both regions of the world. The way they did it is not by chanting naturalist mantra and hoping that cold or heat does not get us but by using the tools we have to engineer our safe spots and create our own shelters. This is what humans do to survive and this is what made them the dominant species on the planet. If humans ancestors were as dogmatic and fundamentalist in their natural-artificial debate, they would not have even left the caves. Actually they would not have even made it to the caves from the trees. So its pretty hypocritical, to write, think and believe about how GMO crops are anti-natural and hence bad, while living in a house built by man using artificial engineering, growing crops which were selected by man for their value and not really natural by any means, using computers and mobiles which are not natural and still complain that GMO crops are bad because they are not natural. Another problem with this natural-unnatural argument is that there are many poisons in the world which are natural from snake poisons to poisonous plants like fox glove, datura etc. Since the naturalistic argument against GMOs is that it is artificial and hence it is bad, doesn’t that mean we should only look to things which are natural? Does that mean that only naturally occurring goods should be used? Is that even a valid argument to make from iphones and PCs? Or for that matter, is there any reason to think natural substances like foxglove, datura , scorpion sting, snake poison can be consumed without any deleterious effect? This type of argument has become distressingly common these days with massive propaganda for organic foods and against the use of fertilizers and pesticides. There is no evidence to suggest that organic food is better for health than ones produced by fertilizers and pesticides even though the organic food is supposed to be glorious natural phenomena. What’s worse these people associate any chemical with bad and throw out big chemical names around as if it is bad. One should remember how easy it is to be manipulated into believing something is bad by looking the Dihydrogen Monoxide hoax where an Australian member of Parliament recommended action against dihydrogen monoxide, which causes cancer, kills 100% of the people who consume it and is present in almost all of the food items consumed today, only for the dihydrogen monoxide to turn out to be chemical name of “water”. The propaganda against the GMO crops and the allegations of poisoning the soil by fertilizers is not any different. The fertilizers used today have lead to an increase in yields and there is no evidence to link their use to any human ailment today. It is unscientific and retarded to say that since urea is bad for human health, using urea to raise crops is bad for human health as well. Plants take up urea as it has nitrogen and use them to fix nitrogen easier than they otherwise could and hence give a better and faster yield. By the time humans consume it, the urea inside plants is not really urea but rather proteins and other compounds where the nitrogen in urea is fixed. Since humans, at least the normal ones, are not going to consume loads and loads of soil per se and only eat the food grown on the soil, they are not going to be poisoned by the urea used to fertilize the plants. This is a huge topic in and of itself and is better left for its own article but the point is any such paranoia should be viewed with suspicion. This is not to say all chemicals are good either, as DDT used for insecticide had some negative effects but then again, it had proven health consequences and was subsequently banned giving valid argument. The use or restriction of use of the chemicals should be fact and research based and not based on the paranoid delusions driven by half-baked theories. Another problem the typical right winger has with GMO crops is that it is is using genetic manipulations per se and hence it is bad. This is again a paranoid stand which is driven by ignorance more than anything else. The truth of the matter is, genetic engineering is not per se bad and has been in application outside GMO crops for a very long time now, including for mass public consumption without the public even knowing it and it is pathetic to even point this out. For instance, many people in India (and indeed the rest of the world ) don’t know that the life saving hormone insulin used today is actually produced by recombinant DNA technology. In the past the insulin came from dead pigs and cows but now, modern advances in genetics have made it so that pure insulin is manufactured from genetic engineering. The previous bovine or swine insulin had tremendous health risks and numerous problems including evnentual development of tolerance against it. But, by using recombinant DNA technology, the genes for insulin production are spliced into the DNA of bacteria and then such bacteria is allowed to grow in artificial medium and when the genes of insulin production gets translated, insulin is produced which is then harvested from bacterial cultures. So the average insulin user in the world is using bacterial products, from genetic engineering to stay alive. If we are to go by the paranoia against genetic engineering, we should ban recombinant human insulin as well because any kind of genetic engineering is bad. The example of insulin is but only a small benefit of potential genetic engineering. Some of the most promising aspects of genetic engineering are cure for cancer and genetic diseases like haemophilia, Huntington’s chorea, Thalassemia etc. Curing such diseases involve repairing the DNA defects in genetic diseases with proper DNA so that the child does not have to die early due to lack of proper gene. One of the methods to do it is by the use of DNA agents for transferring DNA into the cells of the diseased infant. Since cells number in trillions, the feasible ways to do it is limited and one of the methods is to use viruses to infect the diseased cells and hence deliver the repaired DNA to them. The viruses in question are Adeno virus, which causes cancer in some cases, Retro virus- the same virus family which causes AIDS, bacteriophages which cause certain bacteria to be virulent etc. Should such genetic research be stopped because it uses such dangerous vectors, because the average spectator has no idea that the viruses are used only after their generic material for causing diseases are already spliced out and hence are harmless? So the blind fear-mongering that genetic engineering per se is bad and causes destruction is just stupidity and ignorance passing off as caution. While it is true that nobody should be forced to use products they don’t like or want, it is dangerous to prevent people, who do want a new product, from getting it just because of the ignorance and arrogance of the group which doesn’t want to use it. The fear-mongering is sometimes so bad that they throw around unscientific accusations that the GMO crops will end up being mixed with normal crops. This is not scientifically accurate. There has been no demonstrable study which shows that it is possible. It is in some ways inconsistent with the leftist claim that GMO crops cannot be cultivated without the seeds given by corporations, because if the GMO crops can’t grow by themselves, how are they going to pollinate and pollute normal crops? So some people are going to always oppose GMO clutching to one of the sides of this argument-if GMO seeds are not recultivable they would cite that corporations are exploiting farmers. On the other hand, if firms allow regermination of seeds, they will cry about how GMO crops are cross-pollinating other normal crops. As you can see, you can never win an argument against such people who want to win in both cases. Also, another very important aspect which people have almost missed in the GMO debate is the progress on genetic research. Profits from GMO industry will feed back again into general genetic research and thus improving the whole field over time. This would help in finding cures for many of the currently untreatable diseases. By saying no to GMO we are not only restricting access of technology to poor farmers, who might have no problem in adopting it, but are also jeopardizing future research on very important issues. The Bible retards can continue blocking “Stem cell” and other genetic research citing creationism but this should not stop the rational Indians to not understand the benefits of this technology.